In honor of Valentine’s Day this week, we wanted to share this fitting infographic with you. As a small business owner, customer loyalty and retention are crucial to maintaining a healthy and successful business that is ready to grow when you are. If your customers aren’t happy, your business won’t thrive. 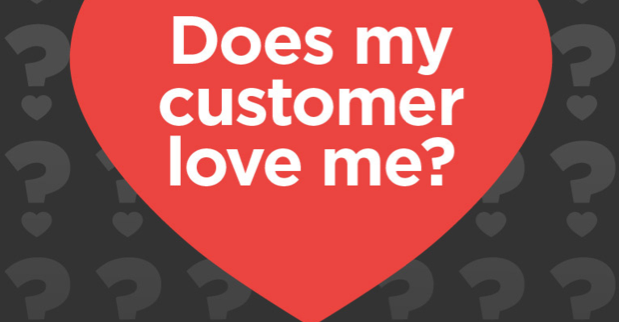 But how do you know if your customers love you, and what can you do to keep them happy and coming back? Follow this infographic, and be honest about your answers, to see the state of your current customer relationship. However strong your relationship is, you can always improve it! Demandforce offers customer and patient communications solutions designed to help you stay connected with your base, and engaged. Through the use of powerful automation processes like automated appointment reminders, two-way text, custom email campaigns, and online review management – Demandforce can help you always send relevant and timely messages to your customers. To set up a time to see a personalized demo, click here. <PreviousDo You Offer Online Booking? You Should. Learn more about marketing tips and best practices by filling out the form below to opt in to our blog. *By submitting this form, you agree to be contacted at the email address you provided - this may include emails. This consent is not a condition of purchase.